M Day is on this week and we’re excited to let you know all about Mazda’s biggest sale of the year. 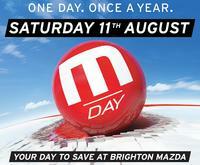 Brighton Mazda will be celebrating M Day with massive savings across the entire Mazda range this Saturday, August 11th. M Day is only on for one day, once a year. 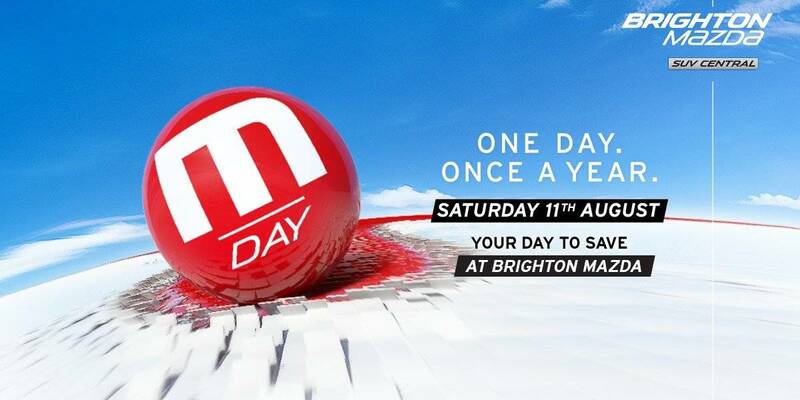 For 2018 M Day will be held on Saturday the 11th of August from 8:30am – 6pm at Brighton Mazda, 865 Nepean Hwy, Brighton. When you visit Brighton Mazda on M Day you’ll be greeting by our friendly concierge who will match you with the next available sales consultant and take any questions you may have about the sale or our vehicles. You’ll also find a dedicated Brighton Mazda staff member in our Customer Lounge taking coffee orders. Complimentary catering on the day will include sandwiches and pastries in the morning, sushi from midday and cakes/pastries for afternoon tea. Plus, there will be plenty of fun activities for the kids to keep them entertained while you buy your new Mazda. Some terms and conditions do apply for M Day. Passenger and SUV offers are for Private Buyers only. All M Day offers presented apply to new vehicles purchased on M Day, 11th August 2018, that can be delivered within the month of August 2018. M Day offers not available with any other offer. *3 years free scheduled servicing applies to up to three standard scheduled services (as specified in the Service Warranty Booklet) for the first three years or 30,000km or 45,000km in respect of BT-50, whichever comes first. 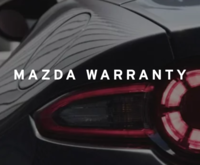 Free scheduled maintenance services must be redeemed within specified service windows and is of limited scope.^3 Years Mazda Standard Roadside Assist. # $500 Genuine Accessories offer applies to a specifically designed M Day Accessories Pack for passenger and SUVs and $500 Genuine Accessories voucher for BT-50 models. + New 5 year unlimited kilometre warranty available on all brand new vehicles purchased from 1 August 2018. Ts & Cs apply. 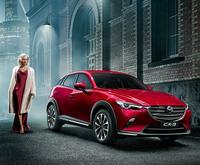 If you’re in the market for a new Mazda we can’t recommend buying it on M Day enough! But to avoid the rush, make sure you come in on the week of M Day to take a test drive so we can reserve your order for Saturday. Call us today on 9559 0777 or fill out our online enquiry form.